The Barrett BORS measures air temperature, barometric pressure, and bore line angle. The BORS also calculates a ballistic solution for a specific user-selected cartridge eliminating the need for “counting clicks”, calculating mil dots as target ranges change, or using a handheld computer. 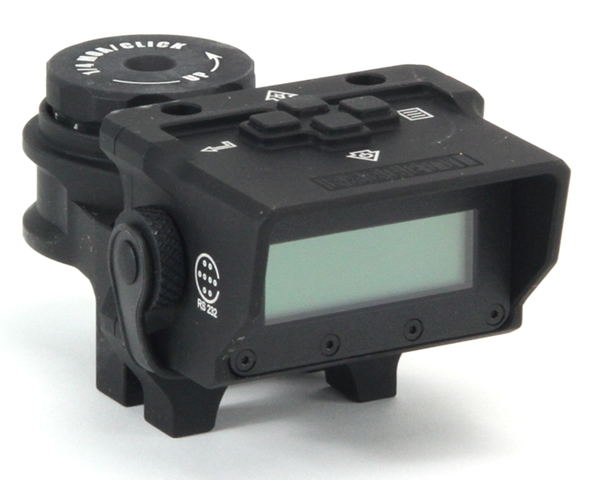 The BORS allows the shooter to focus on environmental conditions, assess the tactical situation, and quickly engage multiple targets at varying ranges. The BORS simply takes the mystery out of bullet drop. 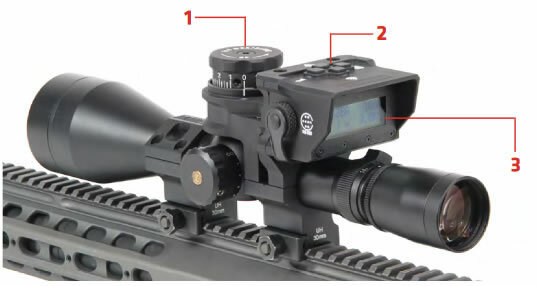 The BORS computer is compatible with select Leupold, Nightforce and Schmidt & Bender Scopes. Barrett Rings Required. Accessories included: Barrett ballistic software with USB to BORS cable, 114 preloaded cartridge tables, tool kit, CR-123 battery. The Barrett Optical Ranging System (BORS) is an integrated ballistics computer that mounts directly on the riflescope and couples to the elevation knob. BORS instantly takes care of the data work by drawing from several tables and taking into account a number of real-time external factors so you can focus on the task of achieving first round hits. After determining the range to target, simply turn the elevation knob until the BORS screen matches your target's distance. Internal sensors automatically calculate the ballistic solution. BORS compensates for temperature and barometric pressure, calculates angle cosine and displays rifle cant. The BORS kit includes the proprietary Barrett Ballistic PC Software that's pre-programmed with a library selected by Barrett. BORS USB data cable allows the transfer of user programmable custom loads to BORS from his or her computer. Designed primarily to withstand military operations, BORS is rugged and able to operate with a variety of scopes, calibers and rifles. *Barrett Ballistic Software requires Windows XP or higher, and is not directly MAC OS compatible.